Finally…finally I was starting the big trip, after all the preparations. On wednesday, my mother drove me to the trainstation in my hometown Vaihingen/Enz. One would think that I would have been very emotional about my departure, however, those feelings did not come up. Maybe it was because I have been to this trainstation many many times with a suitcase, waiting for a train. Also, I knew that I would see my mother already the coming Monday, as we will cross the Atlantic together on Queen Mary 2. During the first minutes in the train I tried to realize that this was the beginning, but still, no big emotions were coming up. 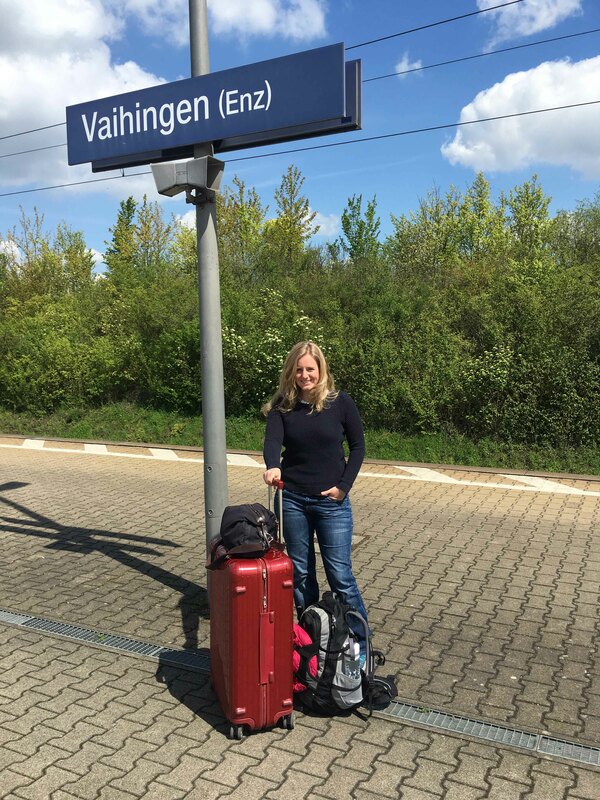 Only when I switched trains in Cologne and boarded my last train with the direction Wuppertal, the excitement started, as this was a new place I had not yet been to. The excitement increased when we passed the station Solingen, as this is a town often mentioned in Otto Dahl’s diary. 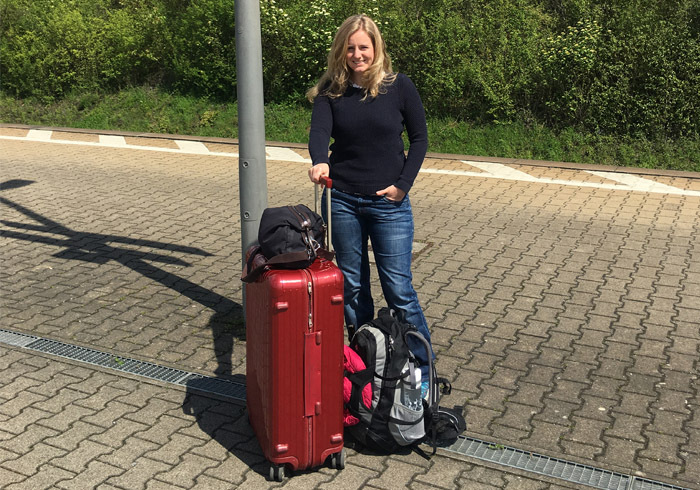 When we finally arrived in Wuppertal, I was ready for the adventure! ← How to pack when you are taking a historic dress with you! Die deutschen Artikel finden Sie, wenn Sie ganz unten auf der Seite auf die deutsche Flagge klicken!